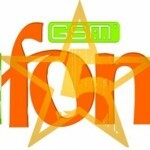 With the slogan “It’s about you” Ufone has consistently focused on their customer’s comfort and needs. Ufone is definitely about you. To be able to evolve with users and also to keep pace with their needs, Ufone always offers something extraordinary. Currently, there are six network cellular providers in Pakistan, but Ufone has always managed to be at the top of the telecom industry. Ufone is accepted and valued across the country by all age groups, Ufone is designed to connect with customers and to offer them advanced services. Subscription procedure is easy as always. By dialing *445#, you can avail this offer from 9 am to 5 pm and can enjoy 100 minutes to on-net numbers. Don’t be hurried as you have to wait for the confirmation message of offer activation. Ufone always give low priced-rates on all their package and for this offer you just have to pay only Rs.6 plus tax for a day. Standard charges of 10 paise per call will apply. No extra or hidden charges will be enforced. Standard charges will be implemented to off-net numbers. FED and other taxes will apply on recharge and other usages. Prepaid customers always get the benefits of all incredible packages. Offer is only valid for prepaid customers. You can make calls to only on-net numbers, i.e., Ufone, Vfone and PTCL numbers. This offer remains valid from 9 am to 5 pm. The offer will automatically renew at 12 am if you have the balance of Rs.7 plus tax. In this package, Calls made to voice buckets, and shortcodes are excluded. Subscribes of Uth package and Ufone super Sasta cannot avail this offer. If you get worried about remaining minutes, you can check it by dialing *707#.It will charge you 20 paise plus tax. It will automatically unsubscribe at midnight daily if you have the balance of Rs.7+tax. Otherwise, to unsubscribe Ufone Din Bhar Offer just dial *456#. It will be free of cost. Ufone Din Bhar Offer has the lowest rates for calling to any on-net number. If high call rates from other services provided make you worry and you have to think hundred times before making long calls then don’t hold up and give a chance to this din bhar offer, you won’t regret it.